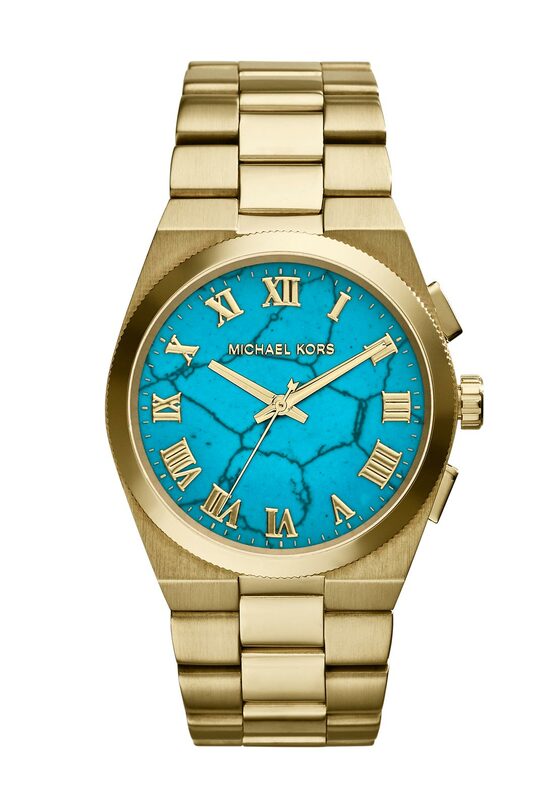 A striking watch Channing from Michael Kors with a beautiful turquoise blue finish to the face. You will love this piece as it has a modern feel and sophisticated look with bevelled edges. 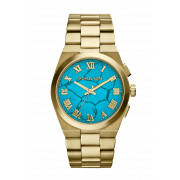 The face features gold Roman numeral markings, three hands and logo; that stand out from the turquoise coloured face. The gold tone stainless steel bracelet has a deploant clasp closure.